Discussion in 'General discussion' started by karnala, Nov 5, 2016. It is part of Pentatonixs new album, which includes many Christmas-themed songs. Not what I would think very reverent. They get us coming and going. Oh Dear! I enjoy listening to all the Catholic musicians who are included in the Rome Reports. There's a Catholic man in Australia who started the "Choir of Hard Knocks" to support the homeless, and the Hallelujah hymn is one of their original songs. Just a decade after the Choir of Hard Knocks began changing lives of homeless people, 40 members are travelling around the country for the choir's first national tour. Founded by artistic director Jonathon Welch in 2006, the choir is made up of people who live on and off the streets, have suffered addiction problems, or are disadvantaged. 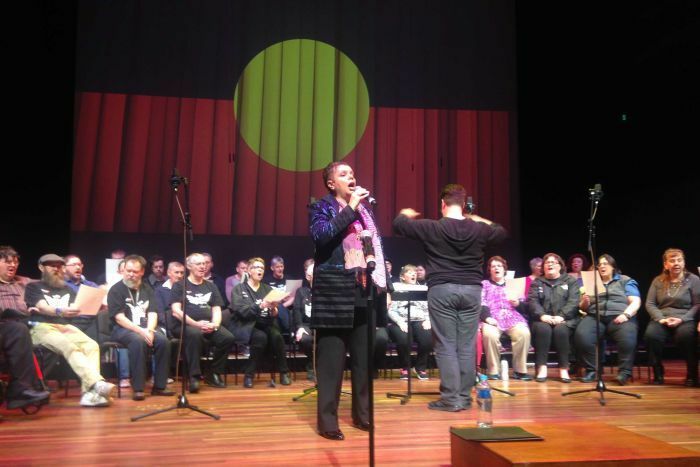 To celebrate 10 years, the choir has performed in Brisbane, Perth, Alice Springs and Sydney, and sung in Melbourne today along with 250 other singers. Welch said music helps people find meaning in their lives, and inspires them. "We're there to make music and have fun. You can see the confidence and self-esteem that singing together builds with the choir members" he said. "So many of the members have gone on to full time study and work." Welch said the regular contact hours and rehearsals with choir members helped those making changes in their life to stay on track. Over the past 10 years, exposure of the choir has grown dramatically and has inspired other street choirs across the country, and overseas. I've never listened to Greek Orthodox music before .... except for Gregorian Chant. Its a lot slower and contemplative compared to the Christian music they play on the community radio. Which is why its called sacred and sounds more like a contemplative prayer. I've responded to a "call for volunteers" for the TLIG Radio and they replied asking for my skills in radio I only just emailed them yesterday about the work I've learnt in radio production, and waiting to hear from them again. So immediately we can see that Catholic meditation is a cognitive exercise — prayer seeking understanding; whereas contemplative prayer sets aside that kind of mental effort, seeking instead a wordless, loving adoration of Christ and his mysteries. Put another way: in meditation we think; in contemplation we rest our thoughts and simply love (and respond to love). What has God in store for you karnala? Something special no doubt....! We are in great need of someone to assist with the audio files editing using, so you are God sent! the job we do is very simple and you’ll provide all the need guidelines. By the grace of our Lord Jesus Christ the radio keeps growing day by day, so we also need someone with experience to join the program production team. ....We have no studios in Australia or anywhere else, all the work is done by volunteers (more than 50 so far) at home and that those volunteers are based in different countries in the world working for TLIG Radio is joy and happiness, all is done with love for Love, with heart for Heart. Who’d ever think I’d be working for the production team of TLIG Radio, and it sounds like very basic editing (compared to what I’m doing at Fresh FM). I’d be happy to teach anyone else who’d like to learn .... the more volunteering the better! That respect and defend the human dignity of all in our land. I don’t have any say about what goes on air at Fresh FM, and TLIG Radio will be a new way to spread the messages instead. Who knows where God will lead you with this!! I found out about this version of Leonard Cohen's Alleluia, with lyrics that make it perfect for Christmas. That's a beautiful rendition .... it seems this hymn can be an interpretation of any Bible story. The pianist is expressing a lot of emotion whilst he's singing. It always brings tears to my eyes - whether its the performance of a musical score or a dramatic piece about baffled kings, temptations, war causing a broken Hallelujah.